For the past weeks, the band, IV of Spades have been playing around the country without their lead vocals, Unique Salonga. Embracing the full support and love of their fans while waiting for their band member. 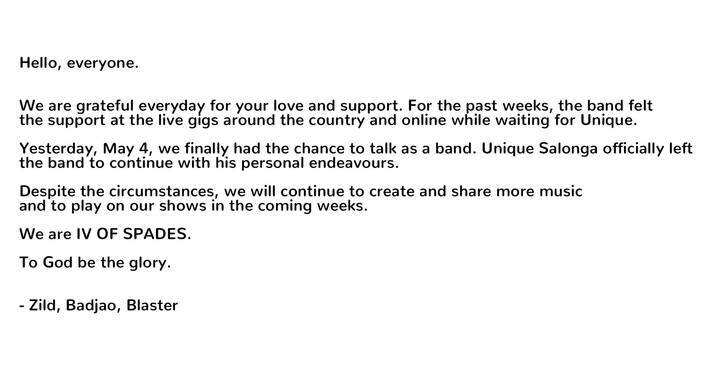 But yesterday, May 4, 2018, the band released a statement from their official Facebook page that they had a chance to meet and discuss as a group and its official that their lead singer, Unique Salonga, officially left the band to continue his personal endeavors. After all what happened, the band said that they will continue to create and share more music, and play more shows in the coming weeks. 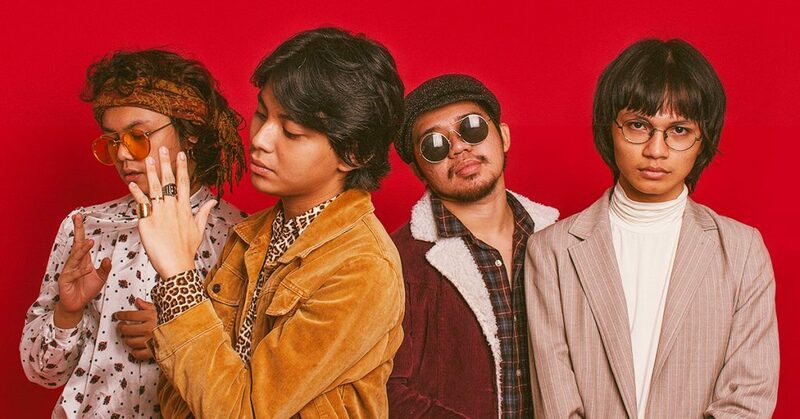 IV of Spades is composed of Blaster Silonga on guitars, Badjao De Castro on Drums, Zild Benitez on bass, and now, their former lead vocals and guitars, Unique Salonga.